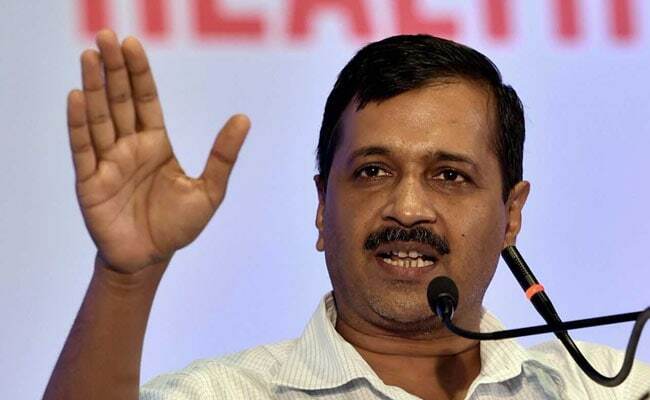 New Delhi, Nov 3: Delhi Chief Minister Arvind Kejriwal said here on Thursday said that though his government doesn't have legal power in many areas, they know how to get things done. Kejriwal, who is also the National Convenor of the Aam Aadmi Party (AAP), was speaking at the annual National Council Meeting of the party attended by more than 300 party delegates. "We don't have legal power, but we are people from the ground and street. If things can't be done in that way, then we know how to do it this way. When we didn't have power, we used to get things done, now at least we have some power," he said, referring to AAP MLAs protest at the Lt Governor's office for "not passing" files related to Mohalla Clinics, a flagship project of the Delhi government. "One day all these MLAs went and sat at the LG's house and said that 'sir either you clear the files or else we will eat here'. Later the files were cleared in two day's time," Kejriwal said in his address to the delegates. "I'm not exaggerating, but I can't even appoint my peon, all our powers have been taken away," he said. Kejriwal said that the Supreme Court is hearing a case on power distribution in Delhi between the Central and state governments and added that if they get back control over the Anti-Corruption Branch (ACB), then they'll show the Central government the grit they had in the first, 49-day AAP government. He said that when they came to power in 2013 for 49 days, officers and police were not taking any bribe as the ACB was under the Delhi government, but though the ACB was taken away from the Delhi government when AAP came to power for the second time, "they couldn't take one thing from us - passion". Kejriwal said that two things -- Jan Lokpal and Swaraj -- were their foundation, but the party has not been able to achieve these. He said that though the Jan Lokpal Bill was passed by the Delhi assembly, it was pending with the Central government. "If Jan Lokpal is passed in Delhi, then our MLAs will be trapped, our ministers will be trapped, our Chief Minister will be trapped, it's good for you (central government), so pass it. But they won't pass it because, if it happens in Delhi then there will be demands from the whole country to pass it in their states too," he said.